JOIN, BOOK, TURN UP, FLY! 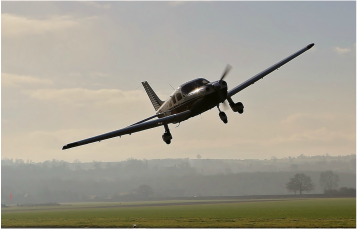 Unlike many flying schools and clubs Take Flight Aviation members enjoy aircraft hire without limits. 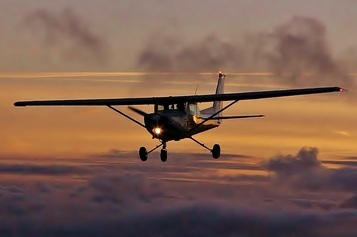 There's no "minimum hours" requirement, so you can hire an aircraft for a day, weekend, or longer and only pay for the time the aircraft is running. As it's been said in the trade press it's as simple as Join, Book, Turn Up, Fly! Flying to the coast, France or Jersey for the weekend becomes an affordable reality. Booking reservations are made on-line and all we ask is that you cancel your booking if you or the British weather change your plans. Once the aircraft is booked no one else can alter or amend the booking, the aircraft's yours, as if your were your own. Someone once commented “it’s the next best thing to owning your own aircraft” but they were soon corrected by someone who had owned an aircraft saying; “it’s better than owning your own aircraft”. Read our case studies and testimonials and find out why! THE SKY'S NO LONGER THE LIMIT! We value our student members and PPL holders equally so there's always aircraft available for PPL aircraft hire and instruction. With more than ten aircraft to choose from it's no wonder we say: - the sky's no longer the limit!